Elke has been co-owner of comm:up Communications & Management in Düsseldorf since 2004. The company advises global companies, family enterprises, and associations in corporate communications. Its main consulting areas are change communications, top executive coaching, crisis management, and corporate reputation. Previously, Elke had been working as managing partner of KetchumPleon where she was COO of the holding company and CEO of its PR agency with 650 employees. Before she entered the advisory business, Elke was a communications expert and spokesperson for different companies. Elke has published several books and is a lecturer at the University of Bremen. She is also aSenior Advisor of DKMS (German Blood Cancer Society) and DKMS Life. 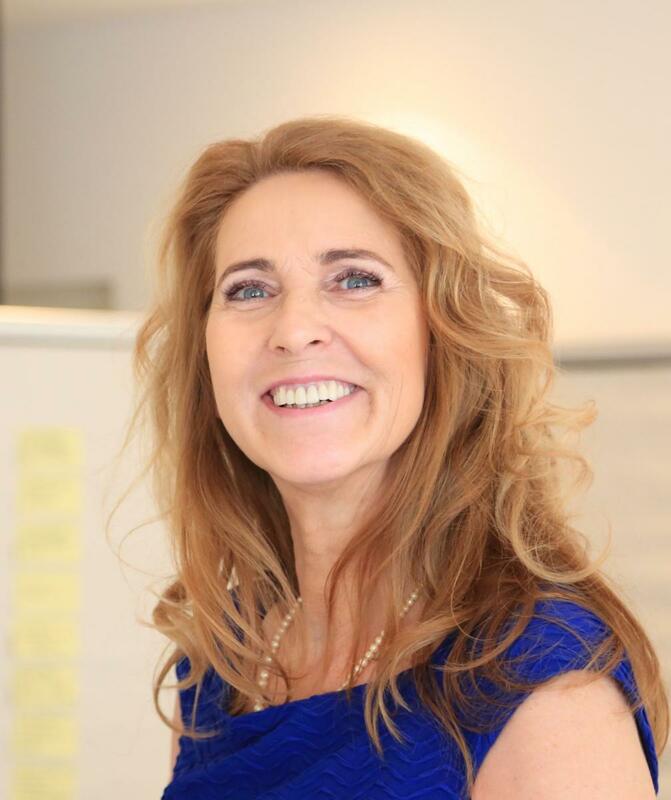 Elke has a PhD in Communications Sciences, and has completed her train-the-trainer und coach-the-coach education. Regularly recognized as a leading financial services industry influencer, Nick Bilodeau is an award winning marketing executive with over 20 years of leadership experience. In his current role as Head of Marketing for Insurance at American Express in Canada, Nick is responsible for marketing activities across all channels for the insurance business. His previous work has included heading departments and marketing initiatives for organizations like Fidelity, ING Direct, and Northbridge Financial. Nick holds an MBA from the Schulich School of Business (York University), a BA in Commerce and Information System from Western University, and has completed an executive program in Competitive Marketing Strategy at Wharton. Annekatrin Buhl is a recognised communications expert, focusing on career, education and employment related topics. With more than 10 years of experience in the field, she develops corporate, employer and personal brands and advises them on successful and efficient communication. After studying PR at the University of Leipzig, she worked as a communications consultant with the PR agency wbpr, where she was in charge of all employer branding and evaluation projects. Most recently she was working at Trendence, the leading market research company for employer branding and HR marketing. As Head of PR & Marketing she was responsible for the company’s strategic and operational corporate communcations in Europe. he conducted trainings on the rules of cooperation with the media and public appearances. He was also a lecturer in the School of Brand Strategy, London School of Public Relations (LSPR by ZFPR), Warsaw University and Collegium Civitas. Juror in international competition POTY (Project of the Year by IPRN) and Golden Clips (PPRCA), and PR International Stevie Awards. 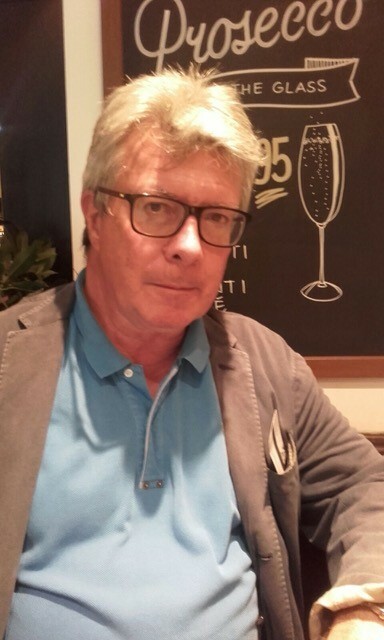 Partner and member of the board at PIZZOLANTE, international business communication consultancy firm with over 40 years of practice in the Latin American region and with outreach to Europe and the United States. He has over 25 years of experience in a variety of practices in the corporate communications field, he is also a coach, international speaker, invited professor at several prestigious universities and writer at different business oriented media. He has been recognized several times with the IABC Gold Quill award, New York Festival Awards and the International Business Awards. Mary DiMaggio Finley, has more than 25 years of experience in a complete range of strategic multi-media advertising services for consumer products, social marketing for multicultural audiences and brand management. She has managed numerous government health communications and multicultural marketing contracts, ranging in size and complexity. Ms. DiMaggio has made appearances on CNN, been featured in the New York Times business section, Wall Street Journal, London Times, and has been a speaker for the Gallup Small Business Government Summit, John Hopkins Business School- speaker for Meet the Legends, and has been a judge for The International Business Awards (2012-2016). Ludovico Fois is External and Institutional Affairs Advisor, Head of Media & Communications of the Italian Automobile Club (ACI) and Editor in Chief of the magazine “l’Automobile. A top level experience in the fields of public, political and business communication. Lecturer in Communication and Institutional Relations in several Italian University Masters courses (Luiss, Iulm, etc.). Member of the Jury in the Ischia International Journalism Award. His latest corporate campaign on mobility issues has been awarded by FIA (Federation Internationale de l’Automobile) with the Excellence Award in Advertising and his “New Mobility Culture” campaign received the 2018 Communicator Excellence Award in the Automotive-Vehicle video category. Anna Futoryan is Branding and Communications Manager at Wordsearch Communications - the world’s leading creative agency for real estate and architecture. With over 10 years of experience in branding and communications, Anna has been involved in major projects all over the world, including the Empire State Building and Hudson Yards in New York, World Summer University Games 2013 in Kazan, Russia, and Big Brothers Big Sisters global charity organization. She works with clients and creative teams across the globe ensuring the most efficient, successful, and seamless campaign delivery. Former television news anchor and reporter Juana Hart is a business communication consultant who specializes in helping small businesses, government entities, and nonprofit organizations get the visibility, credibility and buy-in they need to increase revenues. She has extensive experience in broadcasting, media relations, television production and business administration. Juana provides consulting, coaching and workshops in marketing, media relations, presentation skills and communicating change. She is a professional speaker who has served some of the world’s leading associations. She earned a BBA in marketing from the University of Texas at El Paso. Susan Morrow, APR brings 25+ years of experience in reputation management and communications strategic activities. As owner of Morrow & Associates Reputation Management., she develops and implements reputation management, branding/visibility-building, and communications programs for business owners and organizations. In addition, Ms. Morrow trains and counsels executives on working with the media and helps prepare them for speaking presentations. Ms. Morrow is a crisis management specialist and helps organizations in the areas of internal planning, communications with media, community, and industry audiences, and counseling during actual crisis situations. Pierluigi has a strong and recognized international background in Corporate communication, Corporate reputation and strategy, Sustainability, Investro Relations, Corporate Governance, Risk Management, Country analysis. He is also a Journalist and has published several articles and edited scientific essays regarding CSR. Ayce Ozatalay is a communications professional specialized on communications strategy. She worked for several multinational and Turkish companies & agencies for 18 years. She played a key role on creating prestigious projects, events and communication campaigns for leading brands, among marketing, communications, strategy and public relations departments. She decided to give all her experience with one of the most reputable NGOs of Turkeys service. She is the Corporate Communications Manager of Turkish Educational Foundation since 2015. TEV has awarded by Effie, Felis, The One Awards and selected NGO of the year for two years in a row since then. Sergii Pershyn is Senior Advisor at EM, the leading independent financial and corporate communications agency for clients from emerging markets. After working for five years in EM’s Moscow office, Sergii moved to New York to co-launch the firm’s North American practice. Sergii advises a range of international clients on media and investor relations, with focus on the consumer, transportation and industrial sectors. His experience includes developing and implementing national and cross-border PR strategies, establishing and raising corporate media profiles across various sectors, providing communications support for IPOs and M&As, as well as crisis communications. Edna is graduate in journalism and has worked in communication for companies for more than 25 years and had experience in some newspapers and magazines at São Paulo. With large experience in corporate and consumer communication , Edna Polito worked at In Press Porter Novelli 17 years and Ketchum for many years too. She was responsable for strategic planning, media training, public relations strategies to stakeholders of several sectors and crisis management. She has worked for several important companies like Roche, Motorola, Unilever, BMS, Novartis, Altana Pharma, Daiichi Sankyo, Farmoquímica, Organon and others. Kieran is SVP of Channel V Media where he leads the firm’s media and analyst relations practice. He has an acute understanding of complex business stories, and how media and analyst relations directly influence corporate goals, stock prices, and investor relations. Kieran previously worked at EY, PwC, and Merrill Lynch. With over 22 years of experience across different streams of communications, she currently heads the Consumer Practice for 2020MSL, India. She has led her teams to win over 50 awards (local and global) over the past 30 months, building PR campaigns for some of India's largest FMCG companies. Experienced Chief Visionary Officer with a demonstrated history of working in the aquaculture and fishery industry. Skilled in Business Planning, International Business, Relator, Maximizer, and Public Relations. Strong business development professional graduated from Ateneo Graduate School of Business for Middle Managers from Ateneo de Manila University and Bachelor of Science in Accountancy from the Polytechnic University of the Philippines. Experience also includes being a Business Coach and Professional Auditor. She is a passionate mentor and visionary business woman. She likes to call herself a blend between serious business acumen and open-minded joy. Rosemary’s success is built on the unique perspective that intuition and higher purpose are integral components to a successful company. With over fifteen years of advising and advocating under her belt, she knows that a successful career and a life of enjoyment are not mutually exclusive. Her unique ability is "unifying duality, consciously being in charge of my way of life, speaking up for integrity, believing in magic, and holding people to their highest standards and best judgement in order to create a purposeful and powerful impact." Patrick Schoedel begann seine Medienlaufbahn nach dem Studium zum Marketing-Kommunikationswirt bei Quelle als Referent für Interne Kommunikation, wechselte nach vier Jahren zur PR-Agentur Zühlke Scholz & Partner und spezialisierte sich ab 2010 bei Schröder+Schömbs Public Relations in Berlin auf Lifestyle orientierte Markenkommunikation. Zu seiner Expertise zählen Unternehmen und Produkte aus dem Musik-, Film- und Home Entertainment-Bereich wie Telekom, Devialet oder IDM Film Funding. Keira is an award-winning corporate communications executive with 20+ years agency and corporate public relations and marketing experience. Keira is an expert in translating technology into positive, high-profile media stories, and creating communication programs and strategies that help companies win customers and generate revenue. She graduated from English Philology Department at the University of Warsaw also MBA degree in International Marketing. Certified by the Ministry of Treasury for supervisory board member, member of Foundation for Mediation Development. 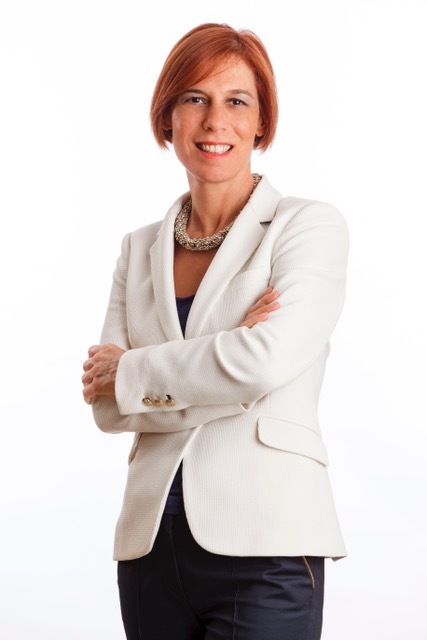 She has a vast experience in leading international projects, B2B consulting, Public Affairs and crisis communication. Real Estate Advisor for buyers, sellers owners and tenants of Businesses, Commercial Properties and/or Homes. Publisher and Communications Expert: Online, Print, Video, Film, Outdoor, Events, Causes, Training, Philanthropy, Media Relations. 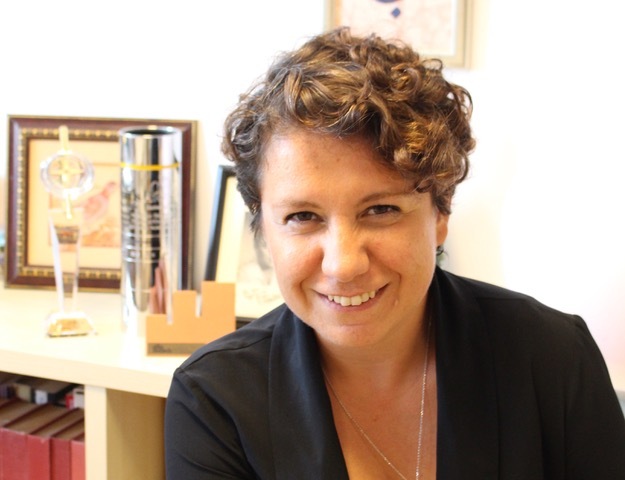 Özlem Yalçin has served as Director of Corporate Communications at Çalık Holding since 2015. She started her professional career in 1992 at Wendy’s as Regional Director. Ms. Yalçın worked at Gate Gourmet (USAŞ) as Sales and Marketing Manager from 1995 to 2000; at DDB Advertising Agency as Retail Group Director between 2000 and 2003; at Doruk Group as Marketing Manager from 2003 until 2005; at UNO as Marketing Manager between 2005 and 2007; and at Akbank as Vice President–Public Relations from 2007 to 2014. In 2014, she was appointed President for Sustainability and Corporate Communications at OMV Petrol Ofisi. Ms. Yalçın graduated from Istanbul Technical University with an MsC in Engineering. Yagiz Yucel has been working in the fields of Public Relations, Media Relations, Cummunity Relations and Corporate Affairs for 15 years. He has experienced different aspects of strategic communication management by taking supervising positions in consultancy firms, NGOs and in private sector. Mr. Yucel took place in the internationally acclaimed; Istanbul 2010 European Capital of Culture project for 3 years as PR supervisor. Mr. Yucel took part in international PR projects for multinational brands during his career. He acted as Corporate Affairs and Media Relations Supervisor at Anadolu Group, which is a partner of various global brands; AB InBev, The Coca-Cola Company, McDonald’s, Faber-Castell, Isuzu, Kia in Turkey. Yucel currently holds the position of Corporate Communications Manager at TFI Tab Food Investments, a leading Quick Service Restaurant (QSR) operator in Turkey and China.